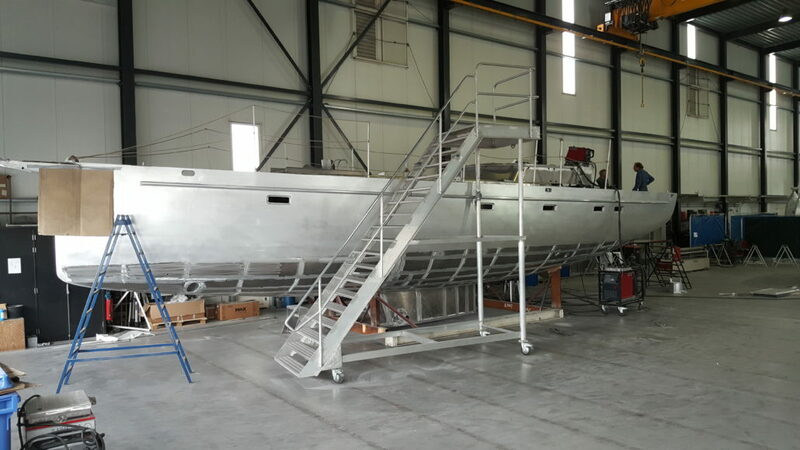 The boatyard Alubouw in Franeker is finishing the second aluminium casco of the Orion 49/II. The hull, keel and sailplan are the same as the first Orion. The deck, cabin, deckhouse, cockpit, transom and interior are different form the 1st Orion 49. Medio september will the yacht transported to Jurjen Mulder Jacht en Scheepsbetimmering, where the boat will be finished.